Since 2013, the Azzedine Alaïa Gallery has exhibits that form a dialogue within art. The vast collection of Alaïa includes works by Warhol, Schnabel, César, Prouvé, Basquiat, Tatiana Prouvé ... 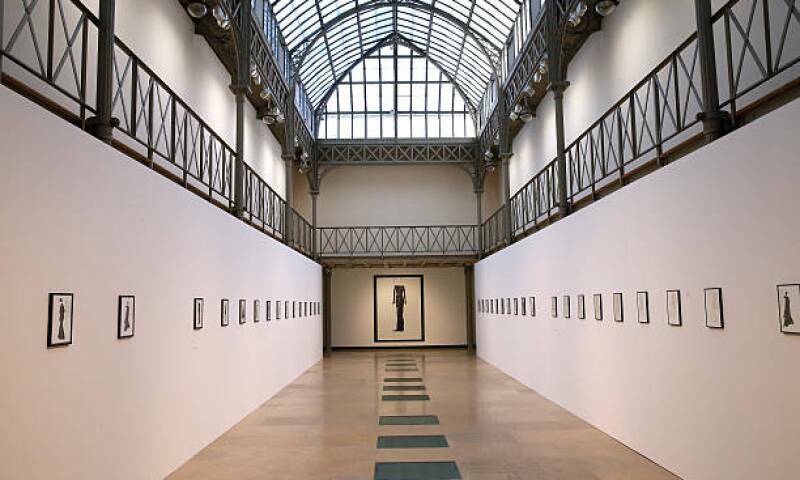 The Azzedine Alaïa Gallery works to create bridges between disciplines (fashion, architecture, poetry, photography ...). In 2015, she proposed a retrospective of the graphic works of the poet Adonis. During 2015-2016, she began a dialogue between fashion and architecture, through the works of Jean Nouvel and Claude Parent. And in 2016, she highlighted the links between photography and fashion, via the Sozzani collection.